Great Barrier Airlines’ BN Islander, which flew from Auckland to Tonga and onto Rarotonga on the 14th of January has gone on to Tahiti along with Vanuatu-based Islander YJ-009 and New Caledonia-based Islander F-GDHD. 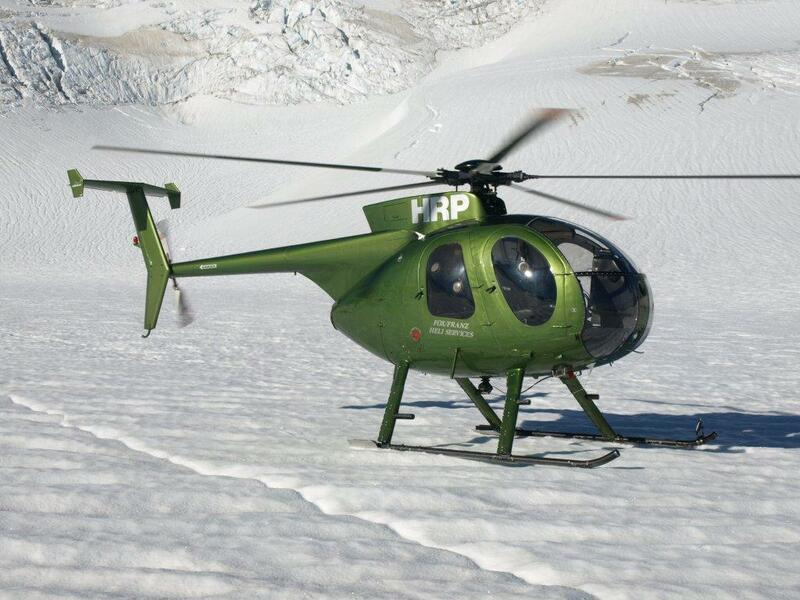 The operator of the latter has contracted the other two for a wildlife survey operation in French Polynesia. Air New Zealand's all-black A320 plane for domestic routes is about to set off on its three-day delivery flight to New Zealand, island-hopping across the Pacific to arrive in Auckland early next week. In a route similar to earlier days when international aircraft did not have long-range fuel tanks, it is stopping over in Gander, Canada, then Denver, Los Angeles, Hawaii, and Samoa on its way to Auckland. At Los Angeles, on Sunday morning (local time), it will be showcased to aviation enthusiasts at LAX airport, while the flight crew sleep. The aircraft - painted black with a silver fern to mark the airline's sponsorship of the All Blacks - was recently flown from the Airbus manufacturing facility in Toulouse, France, to Hamburg, Germany, for a fit-out of the cabin interior. The ZK-OAB registration is the only Air NZ A320 to be painted black. Air New Zealand has 14 of the 171-seat aircraft on order, and this first one will be brought onto domestic routes from early February. Another three will be delivered this year and the remaining 10 progressively through until 2016, coinciding with the expiry of leases for Boeing 737-300. The airline has said that the larger aircraft will let it boost domestic jet capacity by nearly 30 percent. The current 737 fleet is configured with 133 seats. Following the collapse of United Aviation in 1997 Vincent Aviation picked up a number of their courier flights and ran a scheduled courier service in the lower and central North Island. Using mainly their Cessna 402s and Piper Pa34 Seneca ZK-DCP they had an early morning service departing Palmerston North for Wairoa and Gisborne at 5.00 a.m. 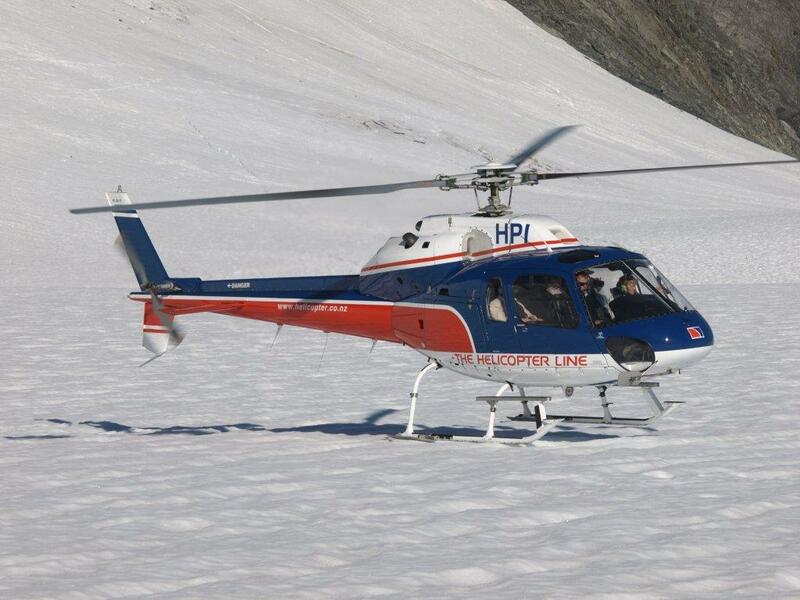 In the later afternoon/early evening the aircraft flew a Gisborne-Wairoa-Napier-Palmerston North service. 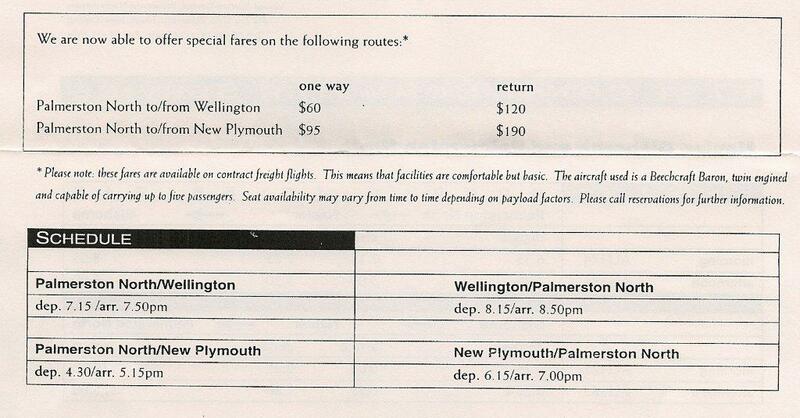 There was also an afternoon Wellington-Palmerston North-New Plymouth return service. 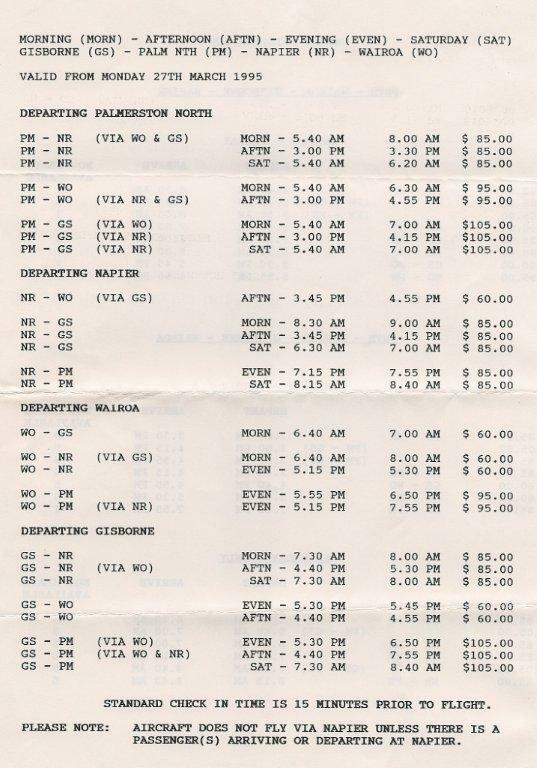 Their timetable noted, “this is a scheduled freight service and the freight takes priority, therefore it is important that you arrive on time or we may leave without you.” They continued these routes until sometime in 1999-2000. 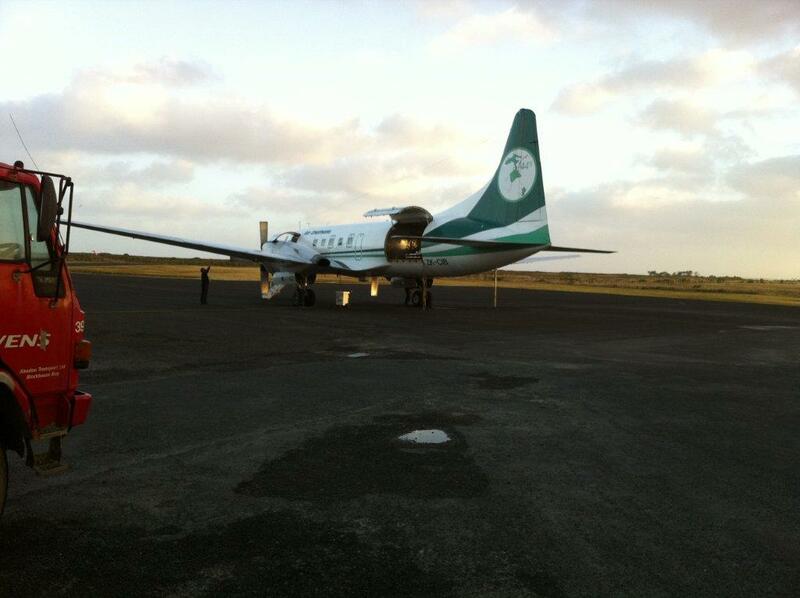 Bargeld01, who flew for Vincents, has written the following account of these services. A Cessna 402 departed Wellington at 1600 to New Plymouth, (Mon-Fri) after the courier showed it was over to Palmerston North to meet with the East Coast Seneca run. 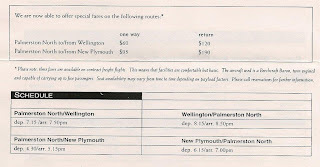 The 402 would then take the combined freight back to Wellington arriving from memory about 2000. 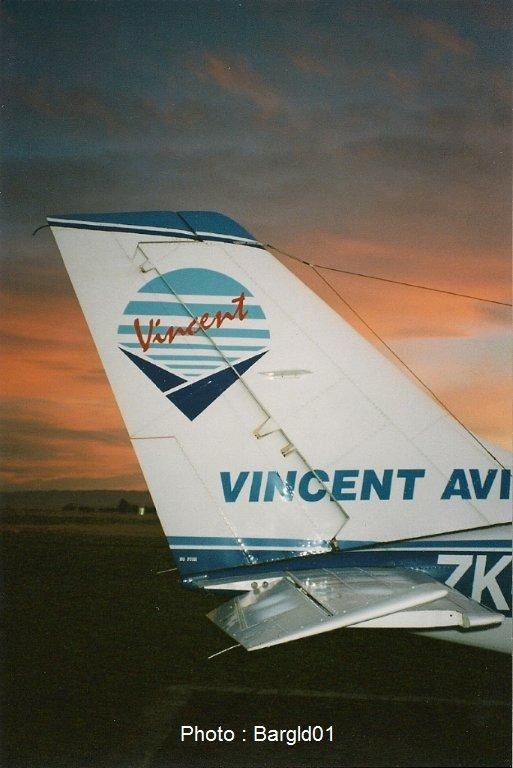 Vincent's Piper Seneca ZK-DCP during its Gisborne layover on 28 September 1998. The Seneca would overnight in Palmerston North during the week. 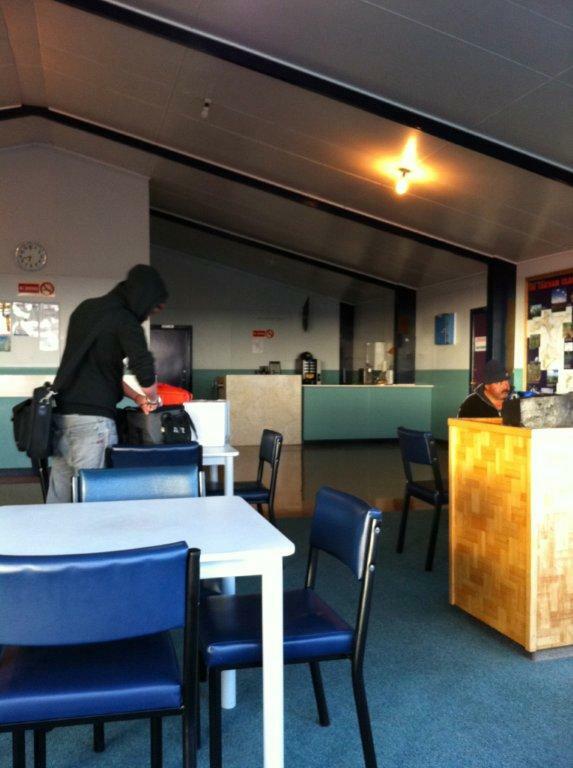 We would depart Palmerston North at 5am direct to Wairoa and then into Gisborne, arriving around 6.30am. 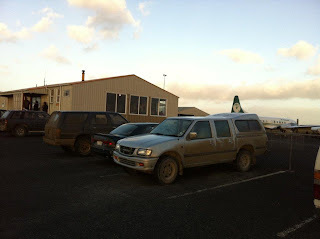 We would park up for the day before returning in the evening for a 5pm ish departure to Wairoa, then Napier and Palmerston North. The crews would swap over in Palmerston North, the Wellington New Plymouth crew overnighting in Palmerston North and the crew that had started in Palmerston North in the morning would head back to Wellington with the 402. 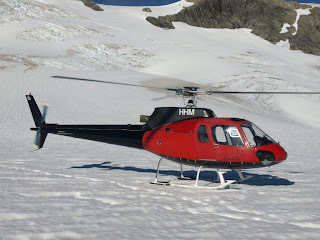 On a Friday night both aircraft would head to WLG and the Seneca would position back to PMR on Sunday afternoon/evening whenever the crew decided to head up! The New Plymouth run stopped after a year or so after my arrival and the Seneca continued to ply up the East Coast. 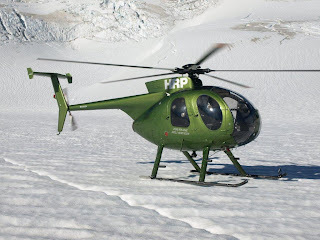 Air Napier also had their Seneca overnighting in Palmerston North and would leave about the same time as us to Napier and then swap freight over to their Cherokee 6, ZK-ELK which would fly Napier-Wairoa-Gisborne, getting in around 7am and spending the day on the ground as well. Then it was the catfight to get out ahead of each other in the evening, ELK typically leaving just prior to the Vincent flight, over the reverse route and again swapping its load to the Air Napier Seneca at Napier for the Napier-Palmerston North leg. 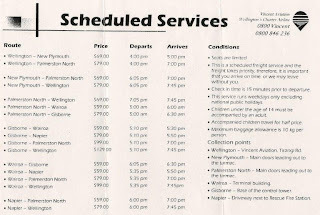 We never really carried that much freight between the two companies out of Gisborne and it was always slightly amusing seeing the two different courier company vans racing up the airport entrance road at Gisborne in the evening! Vincent's carried the NZ Courier freight. VAB and VAD at Gisborne in between flights circa my period at Vincents (1998-2000). Sorry, poor shots, scanned from an old camera but you get the idea! 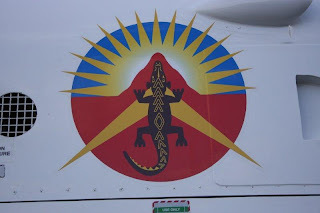 We used to give "John" the NZ Courier driver a tinkle on the cellphone when we were departing Palmerston North and he would head out to Wairoa just prior to our arrival to switch the runway lights on for us. 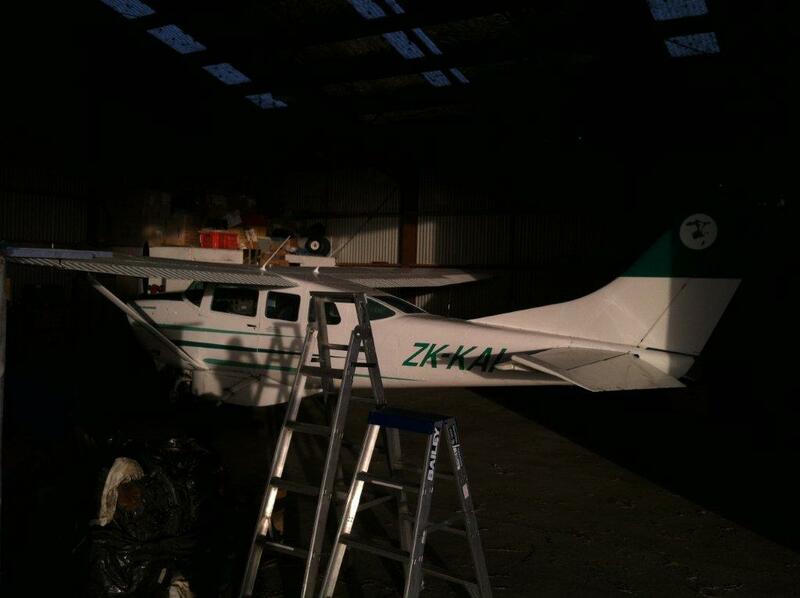 The light switch system was set up after some talks between Vincent Aviation and the Wairoa District Council. 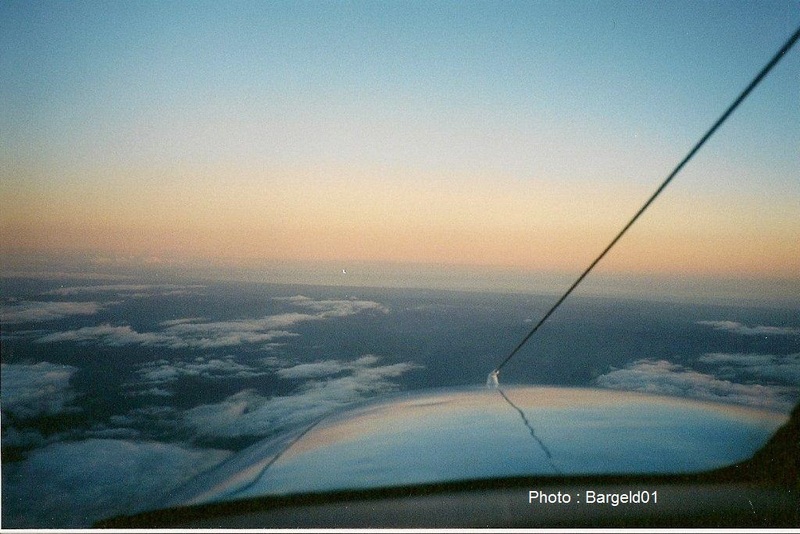 One particular flight I recall vividly into Wairoa, was wondering why many runway lights appeared to be U/S on finals. After landing I went for a walk down the runway to investigate… that discovery led to many empty shotgun shells and empty Double Brown beer cans scattered on the runway!!! The lights had become target practice for some drunken sods the night before! After a bit of cleaning of the debris I headed to Gisborne and let the Wairoa District Council know prior to returning through in the evening. Hokitika Airport passenger capacity is set to increase almost 20% after Air New Zealand today announced the move to a 50-seat plane on the Hokitika-Christchurch route. Canadian-built Bombardier Q300 50-seat regional airliners, will augment the existing 19-seater Beechcraft, in what has been termed “the biggest ever commercial step in Westland’s aviation history”. 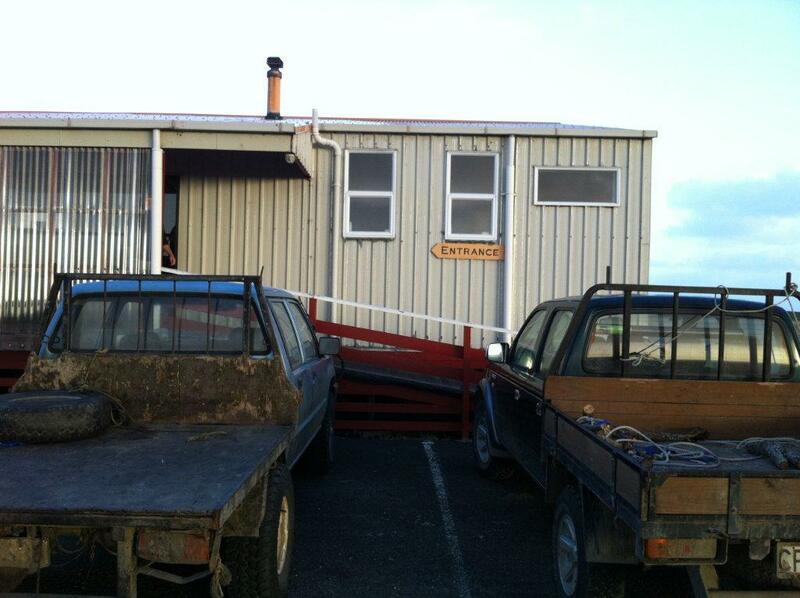 Hokitika Airport chairman Bruce Smith said the move, which had been three years in the making, was “exciting stuff”. “We had to apply for certification, which took two years, and we have done all sorts of things to meet the requirements. 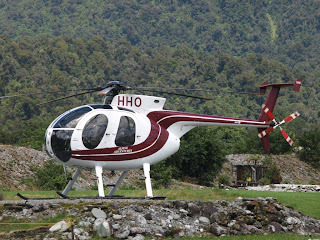 “This is a major step forward for Hokitika Airport and has been enabled by the long term plan the board adopted three years ago. The major increase in capacity alongside the quiet and quick Q300 will ensure passenger numbers to the West Coast region continue to increase. 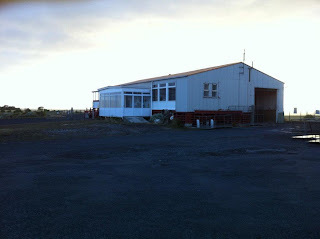 “Hokitika Airport will be ready and able when the next advancement in service to the West Coast is proposed.” Airport manager Drew Howat said that over the past 12 months a runway lighting upgrade and a revamped runway end safety area had all been approved by the Civil Aviation Authority to allow the larger planes to operate from Hokitika. Westland Mayor Maureen Pugh also welcomed the development and said the addition of the Q300 “clearly demonstrates the confidence that Air New Zealand has in the future of Hokitika Airport”. She added that the ability to bring considerably more traffic into the Coast strengthened the airport’s position even further and was a positive boon for the whole region. As part of the aircraft upgrade, Air New Zealand will also place an extra evening flight from Monday to Friday. The new planes will be operated by Air New Zealand subsidiary, Air Nelson. Air Nelson will from April begin scheduled services between Christchurch and Hokitika using its 50 seat Bombardier Q300 aircraft. 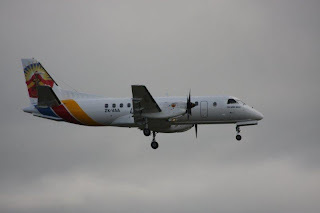 The route is currently operated by Air New Zealand subsidiary Eagle Air using 19-seat Beech 1900D and Jetstream 32 aircraft. New CAA approval for Hokitika Airport means it can now accept scheduled Q300 flights (ad-hoc Q300 aircraft flights have operated into Hokitika previously with approval from CAA). 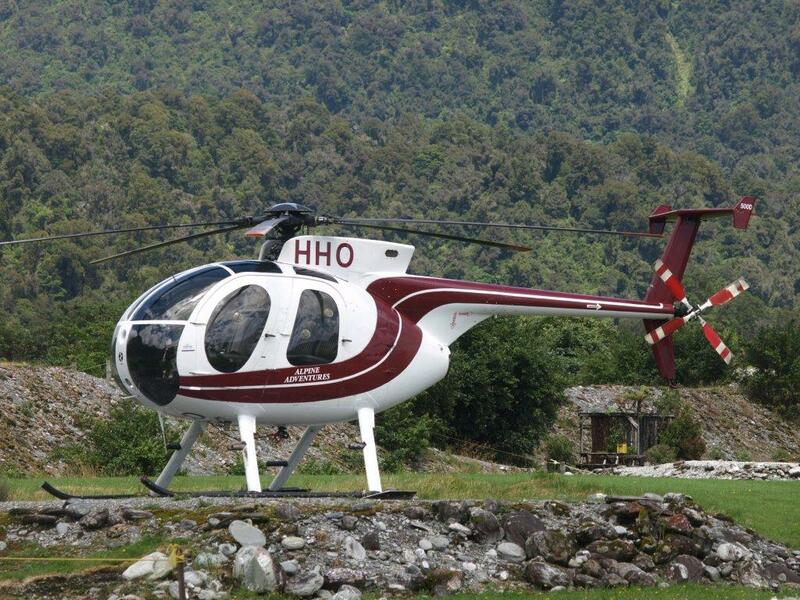 The Q300 aircraft will operate a morning return service between Christchurch and Hokitika on Mondays, Wednesdays and Fridays, with an additional return service on Friday evenings. Air Nelson GM Grant Kerr says, “The addition of the Q300 services will increase total capacity on the route by 12.6% resulting in 1,200 available seats per week.” There has been some reorganisation of existing flights to accommodate the new services and ensure a spread of frequency to meet demand. Paraparaumu is set to become the 27th domestic airport serviced by Air New Zealand, with its subsidiary Air Nelson beginning scheduled commercial services between Auckland and the Kapiti Coast from Labour Weekend this year. Air Nelson will operate three return services a day (Monday to Friday) between Paraparaumu and Auckland using its 50-seater Bombardier Q300 aircraft, with a further three return weekend services. 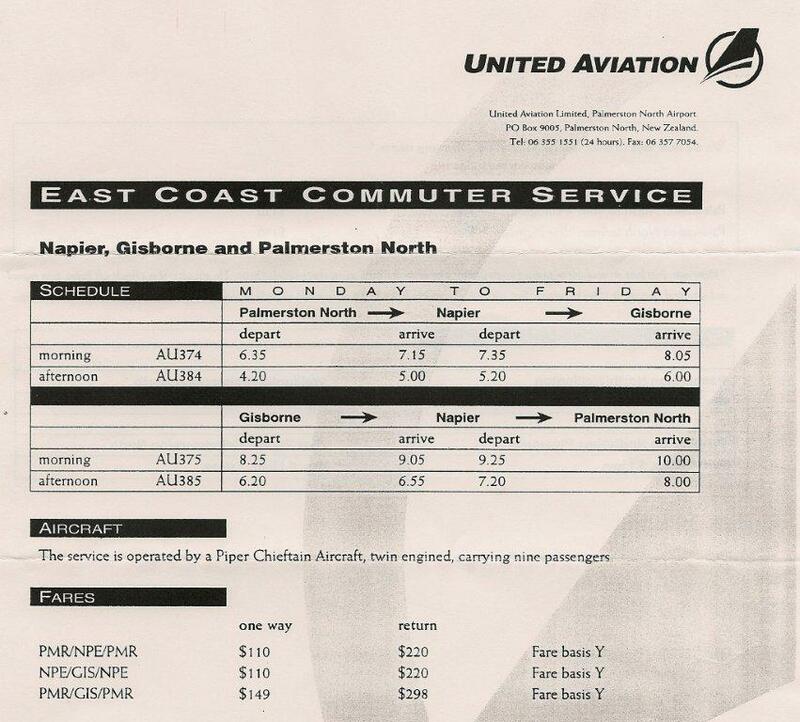 Flight time is 70 minutes, with a total of 1800 seats available per week on the route. Air Nelson GM Grant Kerr says, "Paraparaumu Airport Limited is making a multi-million dollar investment to bring the airfield up to the standard required for regular commercial flights including resurfacing the main runway, upgrading the runway lighting, and installing new airspace safety controls via an Airways NZ operated Aircraft Flight Information Service (AFIS). They will also provide a brand new terminal building and car park. 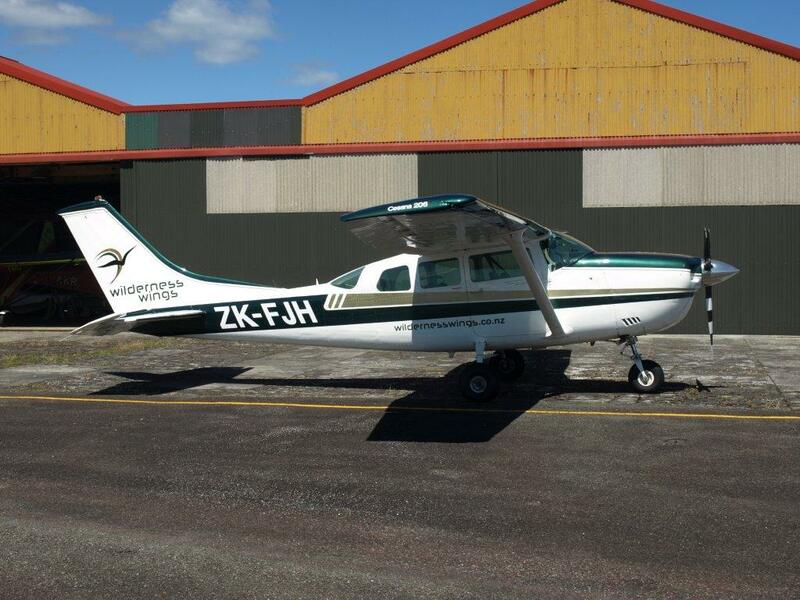 "Paraparaumu Airport's location offers passengers from the Kapiti Coast a much more convenient alternative to the 45 minute drive to Wellington Airport. It's all part of our constant drive to innovate in ways that save our customers time in their overall journey with new services such as self check in and Fast Bag." 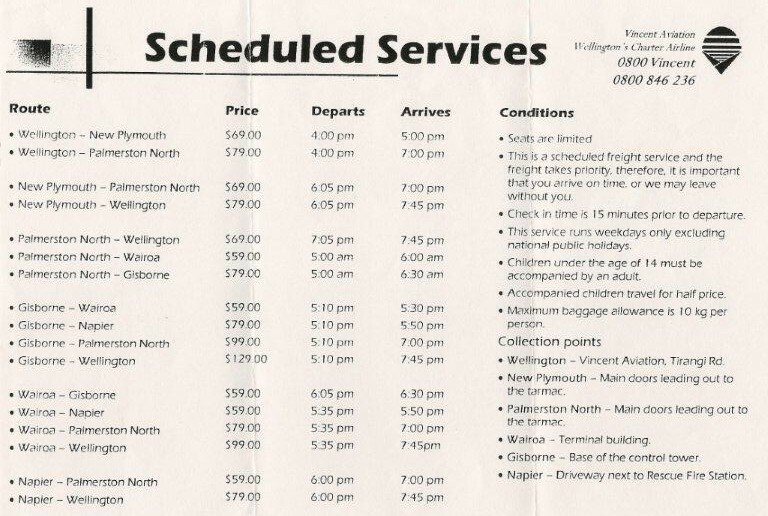 "While we'll start out with 18 return Paraparaumu - Auckland services per week, we're open to expanding the schedule over time if there's demand." The inaugural flight from Auckland to Paraparaumu will take place on Labour Day, Monday 24 October. Pricing and on-sale dates will be announced towards the middle of the year. 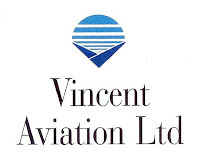 United Aviation Ltd was established by John Plank in 1984 and initially operated as a flying school as well as offering air charter and aircraft maintenance services. 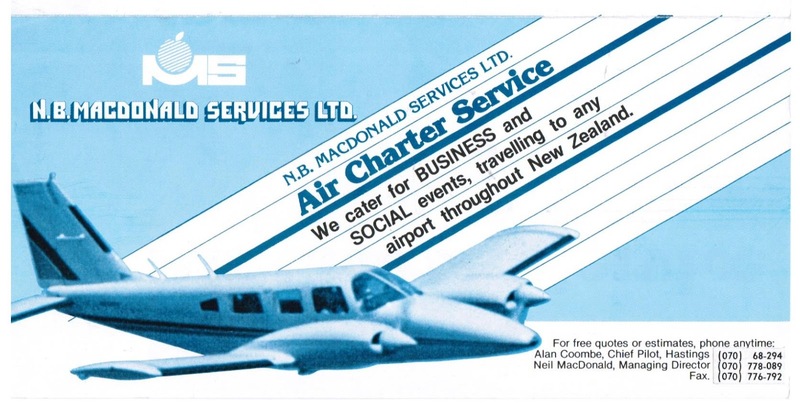 In late April 1993 United Aviation took over N B MacDonald Services' contract NZ Post to fly mail from Napier to Wairoa and Gisborne with Air Napier flying this service on their behalf. 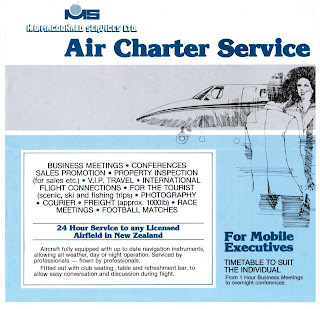 Courier services expanded that year to include flights from Palmerston North to Christchurch, Wellington, New Plymouth as well as up the East Coast to Napier, Wairoa and Gisborne. The company used a fleet of 4 Beech 58 Barons, ZK-KVL (c/n TH-492), ZK-KVT (c/n TH-425), ZK-KVX (c/n TH-438) and ZK-KVY (c/n TH-553). 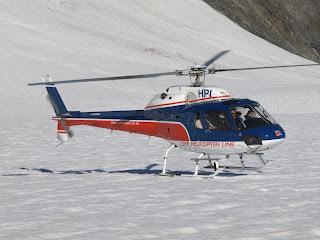 The company also operated two of its own Piper Pa31-350 Navajo Chieftains, ZK-KVW (c/n 31-7752004) and ZK-NSO (c/n 31-7552035) as well as using Wairarapa Airline’s Chieftain ZK-PKC on its services. United also used Cessna 402C ZK-VAB (c/n 402C-0803) for a time. 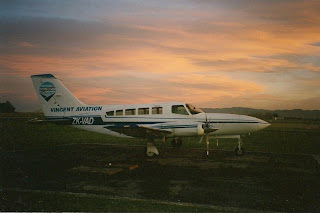 Beech 58 Baron ZK-KVX at Hokitika on 19 May 1996. Piper Chieftain ZK-KVW at Nelson on 9 June 1994. 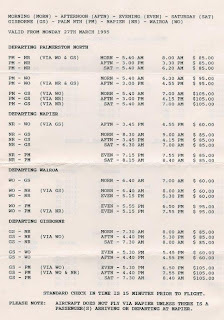 While the services were primarily courier-oriented a schedule was published and passengers were flown when space was available. The company was not without its troubles, however. 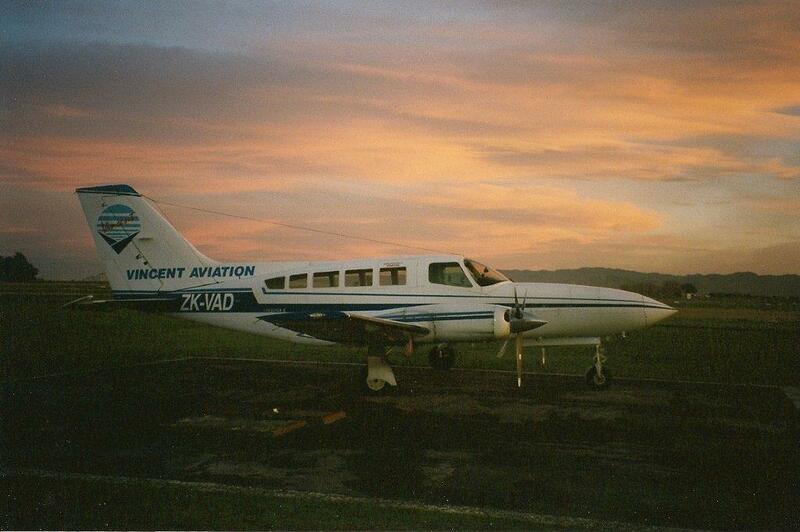 On the 8th of March 1994 the leased Wairarapa Airlines Chieftain ZK-PKC made a wheels up landing at Christchurch. After taking off from Christchurch for its flight back to Palmerston North the undercarriage did not successfully retract. 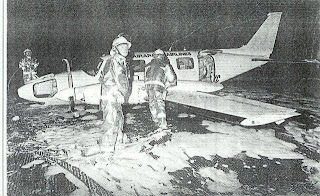 After burning off fuel the aircraft successfully landed without bodily injury. 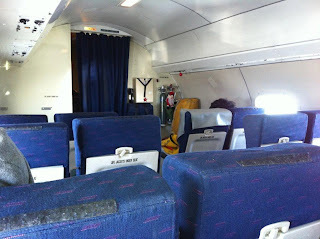 Some years later, Chieftain ZK-NSO, experienced the passenger door flying open on one of the East Coast flights. With the sudden collapse of Cookson Air in February 1993 the company looked at replacing the Baron on the six day a week Palmerston North-Napier-Wairoa-Gisborne service with the 10-seater Piper Chieftain. 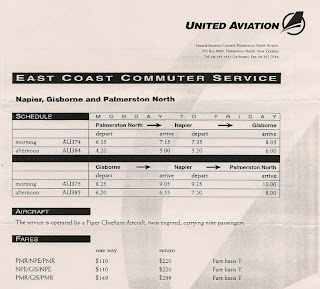 At this stage United Aviation flight left Palmerston North at 5.40am stopping at Napier and Wairoa to arrive in Gisborne at 7am. 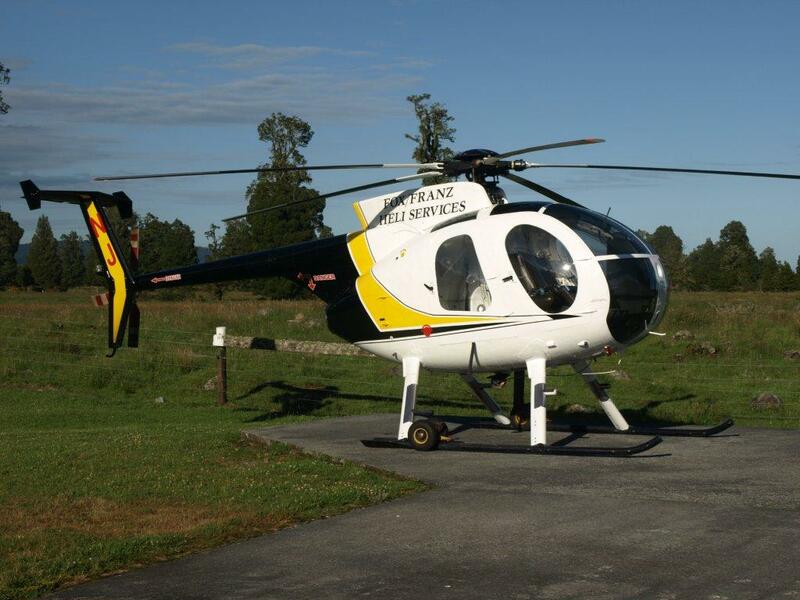 It left for Napier 10 minutes later and returned via Wairoa by 8.30am. 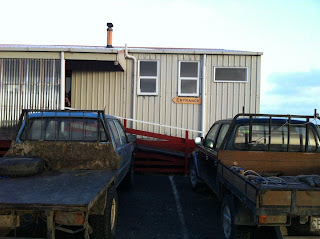 It made the return trip from Gisborne at 5.30pm arriving in Palmerston North just after 7pm. In the end it was Eagle Air’s withdrawal from its Napier-Gisborne service that led to the Chieftain being operated on the 14th of August 1995 using Piper Chieftain ZK-NSO which was obtained from Air Nelson. Piper Chieftain ZK-NSO at Palmerston North on 21 November 1996. Tragedy struck the company on the 11th of June 1997 when Beech 58 Baron, ZK-KVL, crashed in the Tararua Ranges, north of Wellington while on a freight flight between Palmerston North and Christchurch. The pilot, Timothy Thompson, was killed in the accident, the wreckage being found the next day. 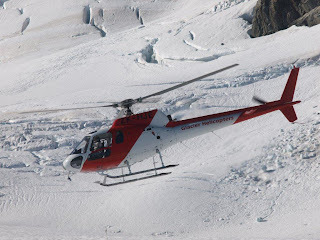 The accident report blaming ice and a defective heater that raised the level of carbon monoxide in the pilot's body for the crash. The accident led to the revoking of United Aviation’s operating certificate. At the time of the grounding the company had 22 employees and was operating seven aircraft. Services never resumed and the company's directors placed the company in receivership on 15 August 1997. The ill-fated Baron, ZK-KVL at Gisborne on 17 January 1996. N. B. MacDonald Services Ltd was formed in November 1987 by Neil and Josephine Macdonald. 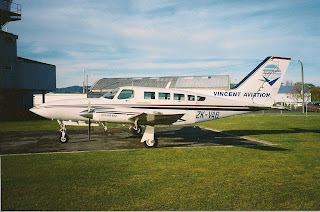 In March 1988 Piper PA34-200T Seneca II ZK-MSL (c/n 34-7770224) was registered to the the company which took over the Databank courier run from Napier, Wairoa and Gisborne to Tauranga as well as the NZ Post contract delivering mail from Napier to Wairoa and Gisborne with Alan Coombe being the chief pilot. The Seneca was also available for air charter work. 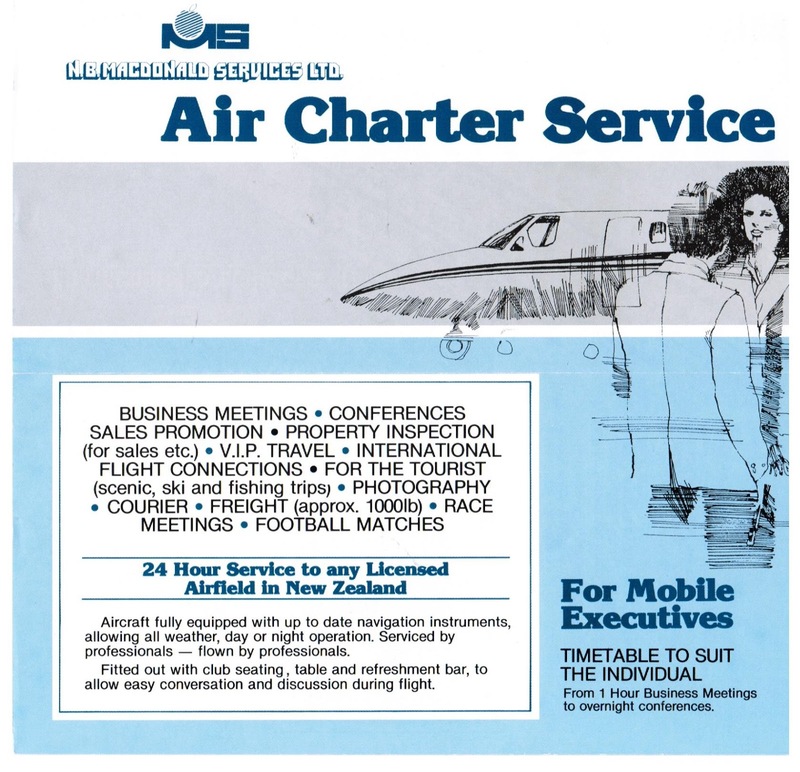 In late April 1993 the contract was taken over by United Aviation when Electronic Data Services closed their branch in Tauranga. The Seneca was purchased by company pilot Alan Coombe in company with two Napier men, Gary Peacock, who was a part time pilot for MacDonald Services, and John Finlay. Piper Seneca ZK-MSL with N B MacDonald titles at Bridge Pa, Hastings on 18 May 1988. Leaving Auckland today is Vincent Aviation's Saab 340, ZK-VAA. 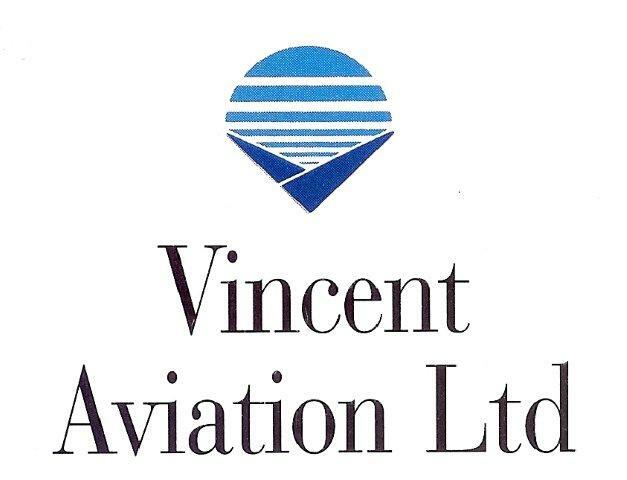 The Saab, enroute to Darwin via Brisbane, and Mount Isa, will enter service on Vincent's routes out of Darwin next week. The colour scheme is to promote Timor Air a new carrier starting services into East Timor early to mid 2011. The other Saab, VH-UYA will probably join the Vincent fleet in the next two months. Unfortunately Cessna 206 ZK-KAI remained closed up on the hangar so a desperation shot. Convair 580 ZK-580 being readied for the flight to Christchurch. 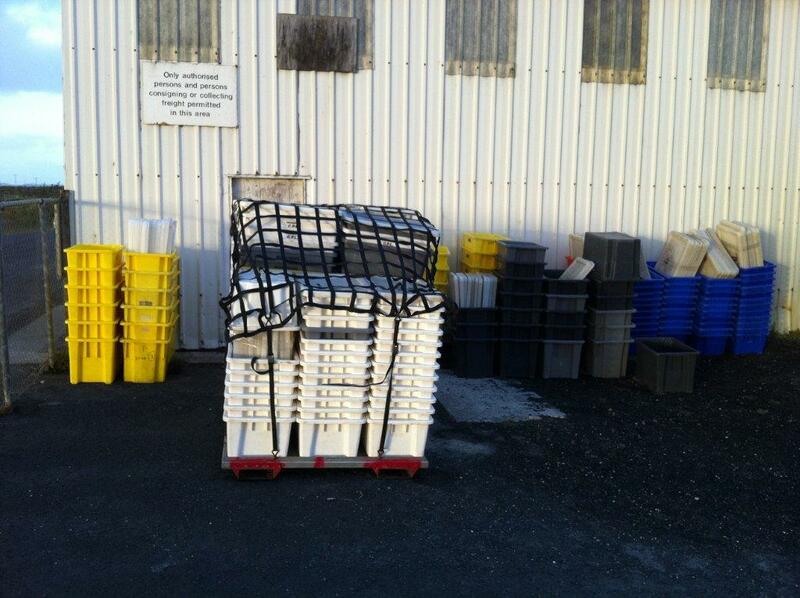 Empty fish crates waiting for the fish to fly to the mainland.